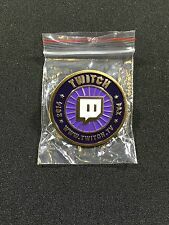 1x Twitch Exclusive Pin - New in Bag. It is very rare. Pin may have been removed from bag for picture purposes only. Pinny Arcade. - Tycho Tot. - Baby Gabe. - Kitty Kemper. Pins do include pin backs- they. Condition- Adult Owner/Display Only. No marks/scratches. Pinny Arcade-. - Colonial Kemper. PAX East 2014. - PAX East 2014 Logo. - Hot Dog Fairy. Pins do include pin backs- they. This is a lot of the Pinny Arcade Oculus pin from PAX East 2019. It is in new condition and has never been used. Pinny Arcade-. - Tycho Sketch (Profile). - Tycho Sketch (3/4). - Gabe Sketch (Profile). - Gabe Sketch (3/4). 2014 Sketch Set. Pins do include pin backs- they. Pinny Arcade-. - PAX East 2015 Polygon. PAX West 2017. Condition- Adult Owner/Display Only. 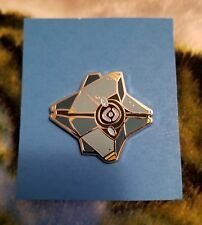 No marks/scratches, except for a few small, fine scratches on the Polygon pin and the Hype pin does have a small amount of tarnish on the back. Pinny Arcade-. - Flesh Reaper. - Fruit F r. PA Core Set. Pins do include pin backs- they. Binwin Bronzebottom. - Jim Darkmagic. Pinny Arcade. - Omin Dran. Acquisitions Inc. - Acquisitions Inc Logo. Pins do include pin backs- they. PAX East 2012-2019. If there are any issues, I will gladly try to fix it! PAX East 2019 Exclusive Magic the Gathering Arena Cards Pack + VIP Pin- NEW! PAX 2019 Pinny Arcade Fleshreaper Kemper Pin Cat. Brand new fresh from pax 2019! (1) Discord Wumpus Pin. PAX East 2012-2019. If there are any issues, I will gladly try to fix it! Two Exclusive Pax East Razer Collar Pins. Condition is New. Shipped with USPS First Class Package. Paper backing has a little bend to it. One Luigi p in, bag and box - Super Mario Brothers 3 Pinny Arcade. Pinny Arcade Deathclaw Pin PAX West Prime 2016 Bethesda Fallout. Condition is New. Shipped with USPS Retail Ground. ONE Pinny Arcade Pax 2015 Exclusive Mojang Mincraft Diamond Ore Block Enamel Pin. This listing is for ONE randomly selected pin from the lot pictured. You will only receive one pin unless you order a different quantity. The Pin itself is NEW, however the cards all show wear on edges, folds/creases, tears and/or sticker residue on the back so they are listed in USED condition. These are limited edition pins from PAX 2015. Pinny Arcade PAX East 2019 Taurus Zodiac Sign Staff Pin Bull April May. Condition is New. Shipped with USPS First Class Package. This pin is new and unused. Pinny Arcade PAX East 2019 Insert Disk 3 Pin from the Indie MEGABOOTH . Condition is New. Shipped with USPS First Class Package. Collectible pin. THIS IS UNUSED ITEM AND SOLD TO YOU AS SUCH. PAX West 2018 Pinny Arcade Neverwinter Pin - Free Shipping. Condition is Used. Shipped with USPS First Class Package. Cardboard backing may show a few small imperfections. Pinny Arcade PAX West 2018 Vlambeer Logo Pin. Condition is New. Shipped with USPS First Class Package. PAX West 2018 Super Smash Bros. Ultimate Pin Set Exclusive Nintendo Switch NEW. Zelda pAX Pin. Condition is New. Shipped with USPS First Class Package. (1) Tekehu Deadfire - Pinny Arcade Pin Trading. PAX East 2012-2019. If there are any issues, I will gladly try to fix it! Persona 4 Chie Pin Official Atlus Udon PAX Exclusive - Ships anywhere! This is the official Chie Pin from Udon, sold at PAX. They’re sold as a random blind box from the main cast of 8. If you get all 8 pins they form a larger image of the crew! The Pins are Limited Edition and not sold anywhere else. Pinny Arcade trading pin - 2017 PAX West - Annie from League of Legends. GIDEON MAGIC THE GATHERING PINNY. Fortnite Pinny Arcade PAX West 2018 Pin Set New. Condition is New. Shipped with USPS First Class Package. Pax East 2019 Nintendo Pins Pouch Smash Ultimate/Splatoon2 Lanyard Medal. Condition is New. Shipped with USPS First Class Package. 2019 Pinny Arcade Pin For Days Gone PAX East. Condition is New. Shipped with USPS First Class Package. PAX West 2018 Blizzard Diablo 3 pin Butcher. Condition is New. Given out by the treasure goblin. Pinny Arcade PAX Unplugged Pin (Z-man games) Dinosaur Pin. Condition is New. Obtained by demoing Mesozooic at Pax unplugged 2018.